can I redirect a duress? 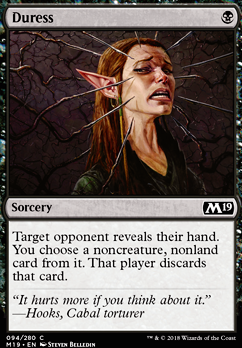 Can you still target a player without cards with duress? 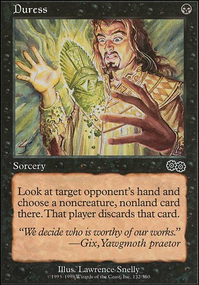 Due to the recent spoilers my approach to Teysa Karlov has changed definitely. 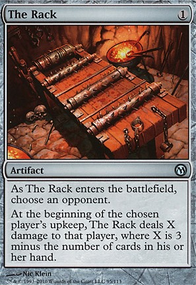 I do not see her at all in the Sideboard for two reasons mainly. 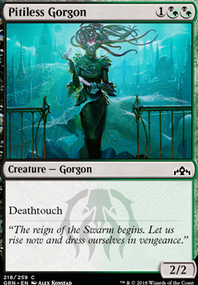 The first one is that she's much more niche than all the other Sideboard cards like Duress or Tithe Taker . 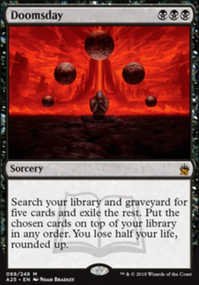 The second reason is that post-sideboard, most decks will bring Cry of the Carnarium which is effectively a wrath against this deck that exiles the creatures. 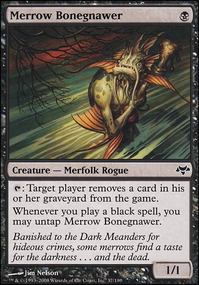 That being said, I did consider to make this deck slightly grindier due to both Cruel Celebrant and Mayhem Devil , and thus create a board state that you bring up God-Eternal Bontu and drain them a ton. In that case, Teysa can easily represent lethal! So, with the new cards in the set, she might even be a Mainboard consideration.